Come and talk to the new AOR Service NSW team, check out their location! The launch of AOR Service NSW provides an opportunity for AOR Owners and those interested in joining the AOR Family to get together and have a conversation. A catch up with AOR’s Managing Director Steve Budden, General Manager Russell Evans. 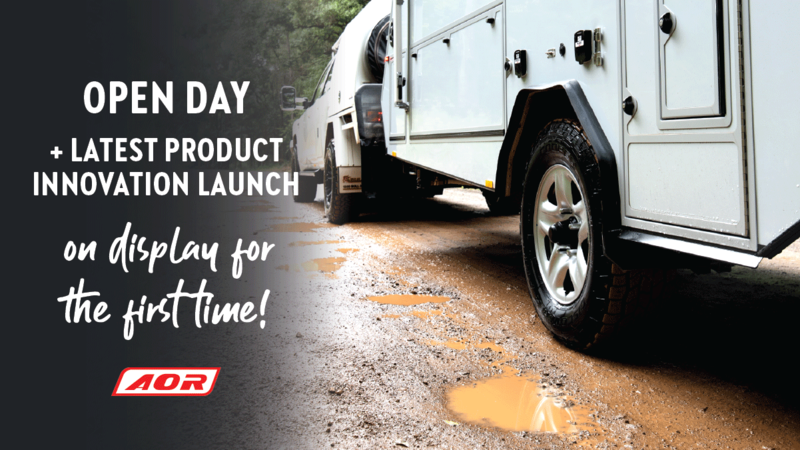 Tune in to AOR’s Facebook live stream from 10AM 27 April to see AOR’s latest product innovation revealed! AOR Service NSW can manage all maintenance of your AOR trailer including storage if require, equipped to maintain your asset at its highest value. All you have to do is `hook up your tow vehicle’ and hit the road! Safe with the knowledge your AOR is well maintained, reliable and ready to travel. Sign up to our newsletter to stay up to date with the latest AOR events, news and more. Click here to subscribe. AOR News brings you up to date information, AOR announcements, tech tips, media and travel stories. If you would like to contribute your story, please contact AOR News. @2018 - aornews.com.au. All Right Reserved.